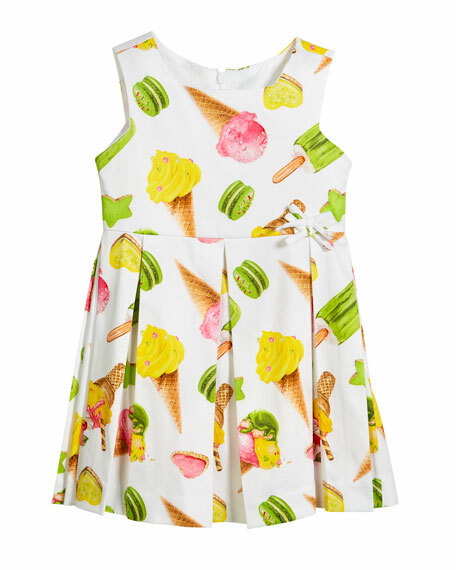 Mayoral sateen dress in mixed ice cream print. Square neckline; hidden zip back. Box pleated waist with bows. For in-store inquiries, use sku #2502788. 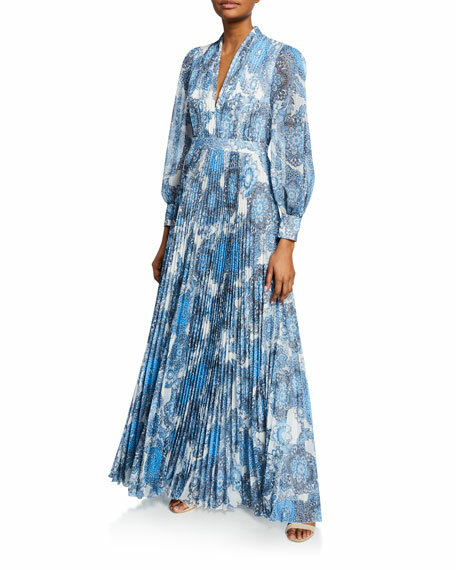 ALICE + OLIVIA JEANS "Cheney" long, batik-print cocktail dress. V neckline. Long sleeves; button cuffs. A-line silhouette. Open back. Maxi length. Back zip. Polyester. Polyester/spandex lining. Imported. 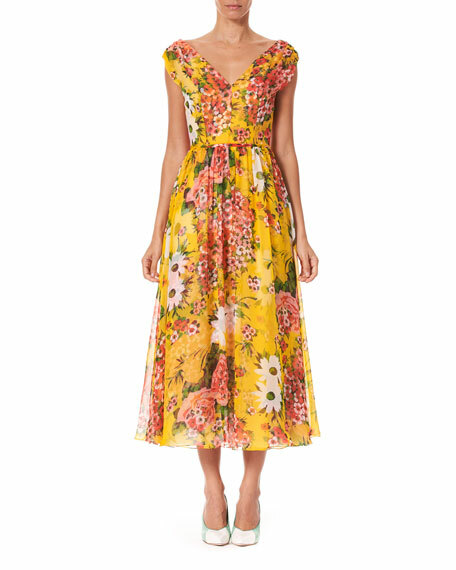 cinq a sept "Catriona" dress in dot-print crepe. 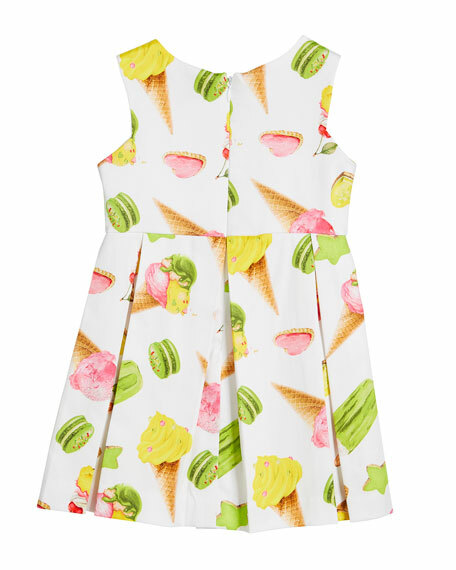 High scoop neckline. Sleeveless. A-line silhouette. Contrast pleated hem. Hits above the knee. Back zip closure. Polyester. Dry clean. Imported.